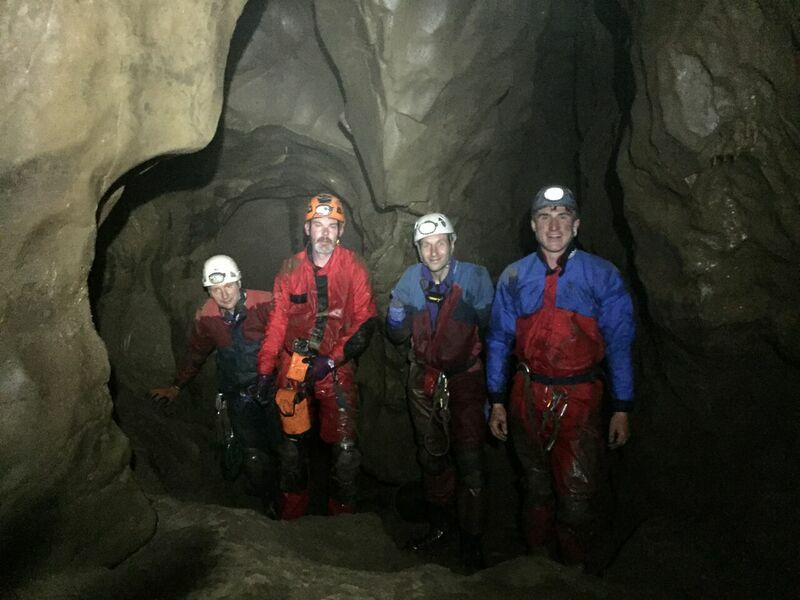 Wednesday night saw us taking advantage of the dry spell for a bit of caving in Illusion Pot, Kingsdale. After exploiting a variety of parking options - mine as usual seeming to be the furthest away from the actual cave - we met up, walked and began the search for the covered entrance in a shakehole. 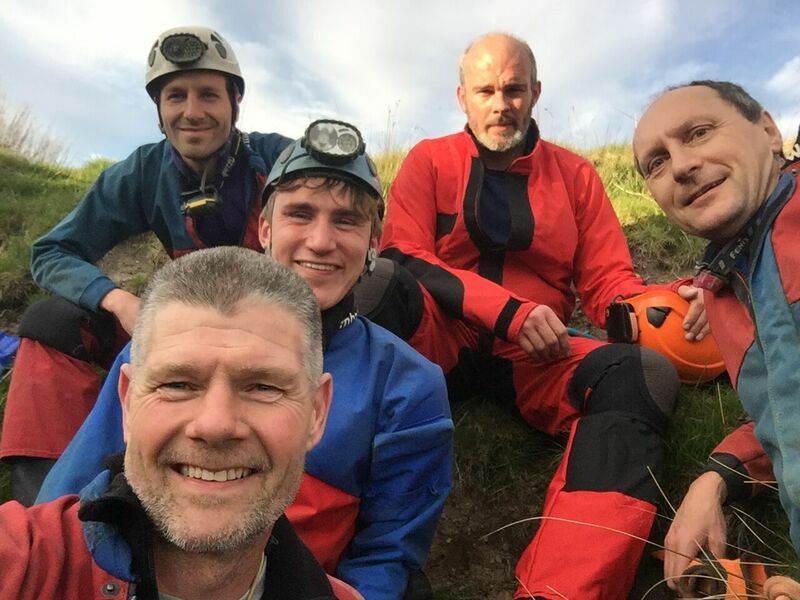 In this crack team of speleo-explorers were Darren, Ali, Jason, Tony and myself; Tony and Ali had the excuse of never having been down Illusion before, and I mumbled something about it 'being all snowy the last time I was here', leaving Jason and Darren to put us on the right track. After some determined searching they found the way in, and we all descended the fixed ladders into the underworld. Muddy passages led to a bailable duck, but today the water levels were low enough to get through without any difficulty. Refreshingly moistened, we continued into the impressive chamber of the Missile Silo, and then Ali led the way up into The Pretties... Here are some beautiful straws, curtains and even helictites, which we were careful not to sully with our muddy hands. We had a look at a dig in the floor that led to a flat out crawl, then retraced our steps into the Missile Silo. At the far end, passing some fine orange speleothems, is the way down to the sump. 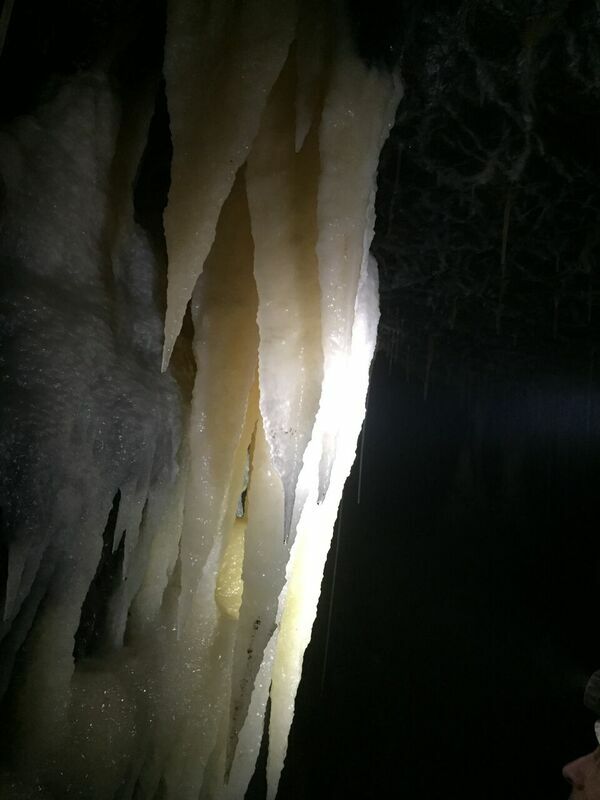 Jason, Ali and Darren went along the roped traverse while Tony and I waited and marvelled at the cobbles which were stuck to the chamber walls by only a thin calcite cement - the remains, we supposed, of a past floor at a higher level in the chamber. The three returned with reports of a final squeeze (which Jason had explored), and we then made our way back out to the surface, emerging to a cloudless evening. We bum-slid back down the steep hill to Darren's car (which was great fun, so much that Tony went back up again!). All said, Illusion is a good and varied trip, and definitely worth a look if you haven't been before. Thanks for an entertaining evening fellas!